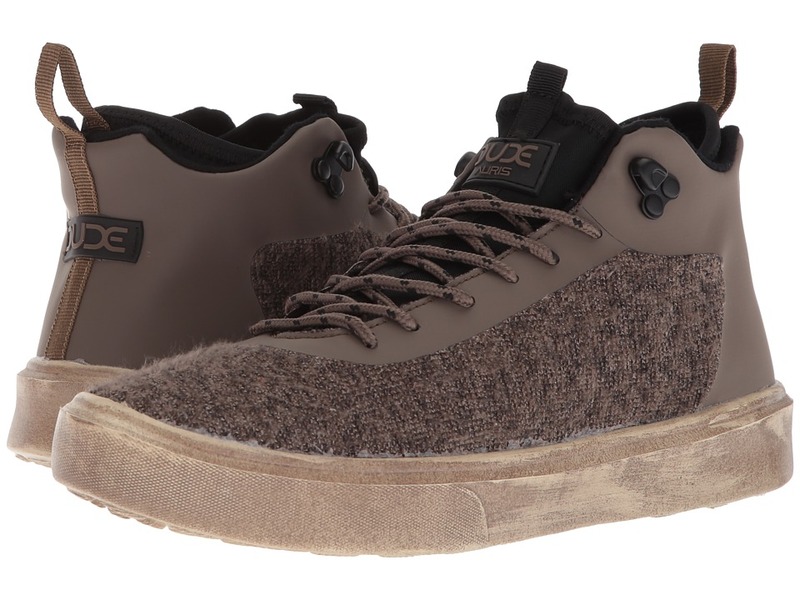 Comfort meets an innovative design with the Hey Dude Renova sneaker. Bi-component knit upper materials offer increased flexibility. Lace-up construction. Classic, round toe. Rear pull-tab offers easy entry. Signature logo detailing at tongue and heel counter. Synthetic lining. Memory foam cushioned, removable insole. Ultra-light synthetic outsole. Imported. Weight of footwear is based on a single item, not a pair. 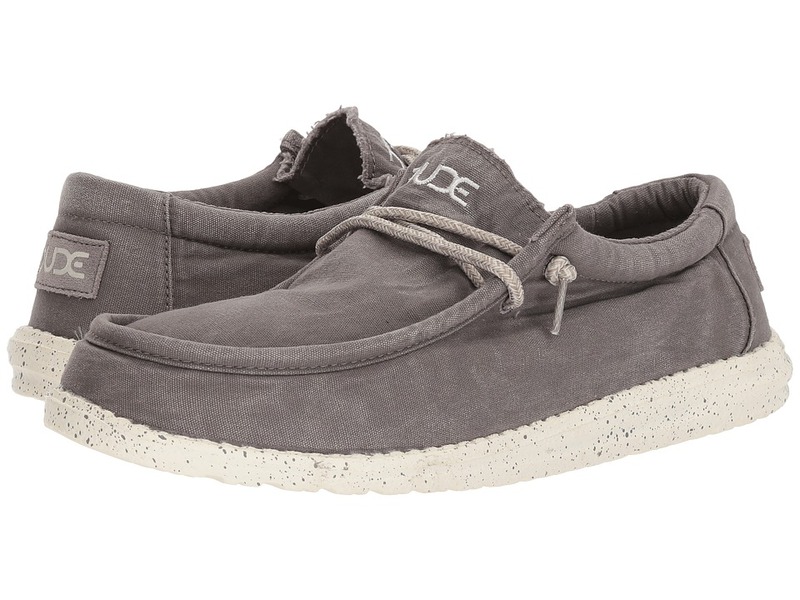 The Hey Dude Wally L Stretch will be an instant favorite in your modern-casual collection. Textile stretch upper material. Lace-up construction. Rounded toe. Low-top, chukka construction. Signature logo details throughout. Soft, oxford cloth lining. Memory foam cushioned, removable insole. Ultra-light, lugged synthetic outsole. Imported. Measurements: Weight: 6 oz Product measurements were taken using size 11, width M. Please note that measurements may vary by size. Weight of footwear is based on a single item, not a pair. The Hey Dude Wally L Sox Funk will be an instant favorite in your modern-casual collection. 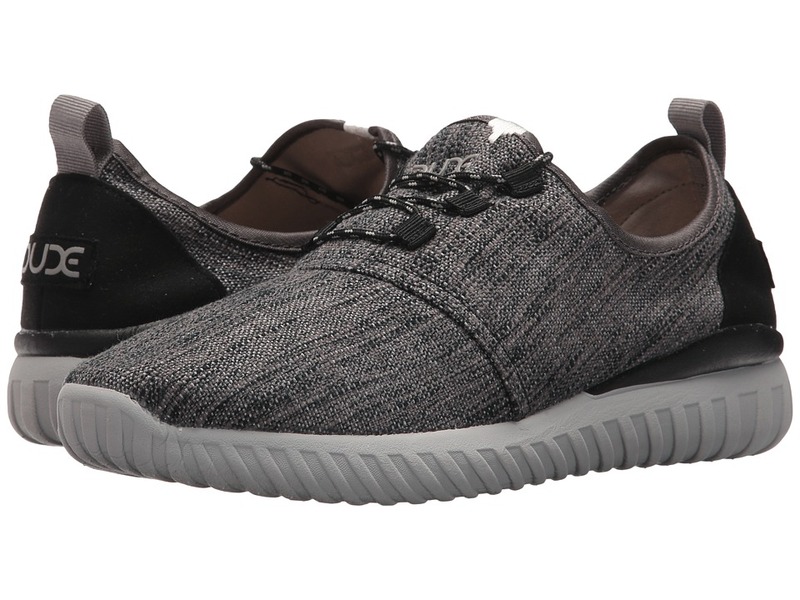 Bi-component knit upper material offers a flexible fit. Lace-up design. Rounded toe. Low-top, chukka construction. Signature logo details throughout. Soft, oxford cloth lining. Memory foam cushioned, removable insole. Ultra-light, lugged synthetic outsole. Imported. Measurements: Weight: 4.2 oz Product measurements were taken using size 12, width M. Please note that measurements may vary by size. Weight of footwear is based on a single item, not a pair. The Hey Dude Wally Washed will be an instant favorite in your modern-casual collection. 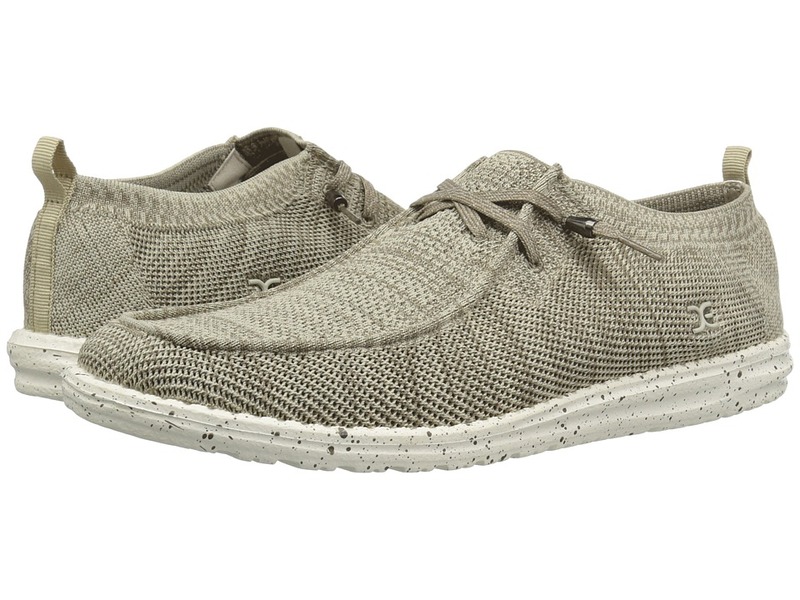 Washed cotton canvas upper. Lace-up construction. Rounded toe. Low-top, chukka construction. Signature logo details throughout. Soft, oxford cloth lining. Memory foam cushioned, removable insole. Ultra-light, lugged synthetic outsole. Imported. Measurements: Weight: 6 oz Product measurements were taken using size 12, width M. Please note that measurements may vary by size. Weight of footwear is based on a single item, not a pair. The Hey Dude Wally Sox Perforated will be an instant favorite in your modern-casual collection. 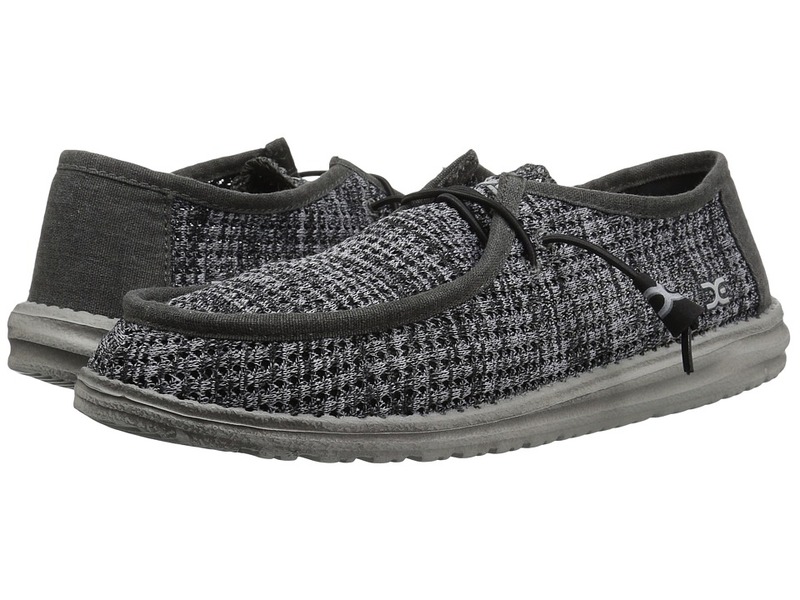 Crafted from soft woven fabric featuring a canvas heel. Bungee lace construction. Rounded moc toe. Low-top, chukka construction. Signature logo detailing at tongue and heel counter. Soft, oxford cloth lining. Memory foam cushioned, fixed insole. Ultra-light, lugged synthetic outsole. Imported. Measurements: Weight: 6 oz Product measurements were taken using size 11, width M. Please note that measurements may vary by size. Weight of footwear is based on a single item, not a pair. Pair Hey Dude Wally Knit is the perfect go-to for any casual outfit. Woven cloth upper. Lace-up construction. Rounded moc toe. Low-top, chukka construction. Signature logo details throughout. Soft, oxford cloth lining. 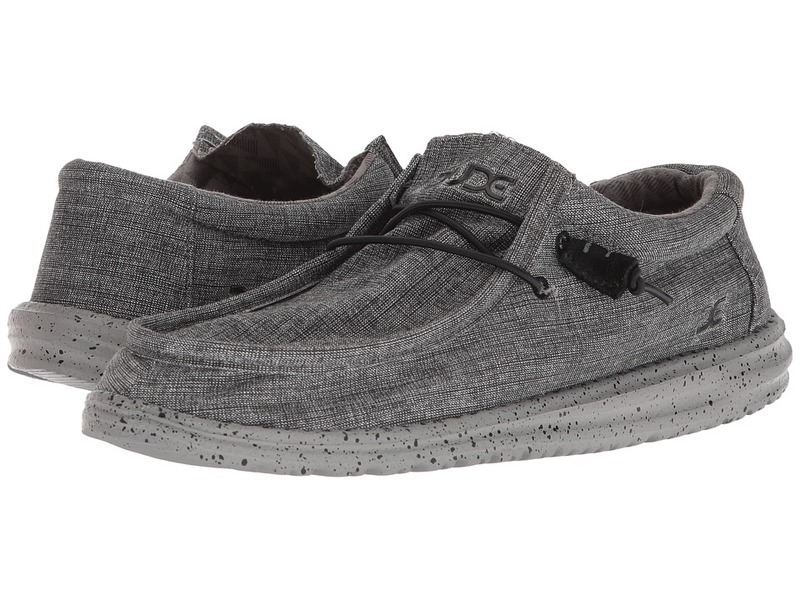 Memory foam cushioned, removable insole. Ultra-light, lugged synthetic outsole. Imported. Measurements: Weight: 6 oz Product measurements were taken using size 12, width M. Please note that measurements may vary by size. Weight of footwear is based on a single item, not a pair. 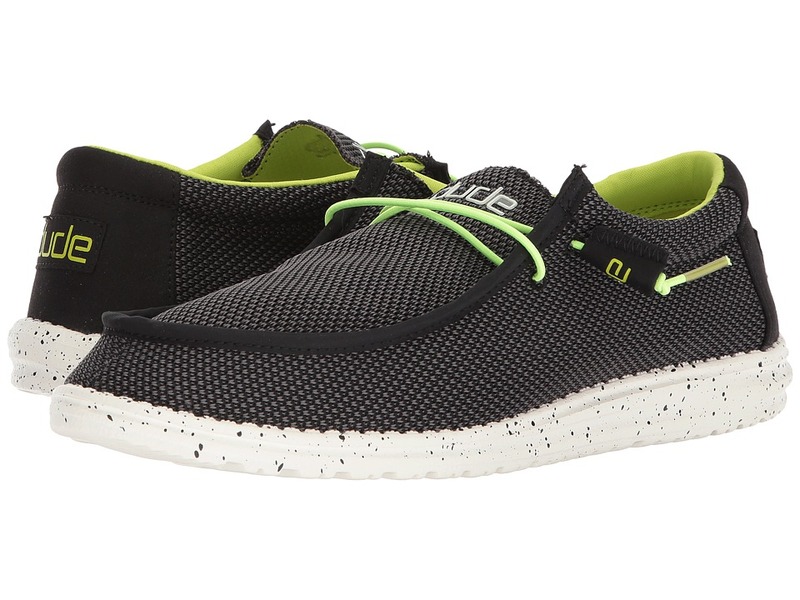 Comfort meets an innovative design with the Hey Dude Mistral sneaker. 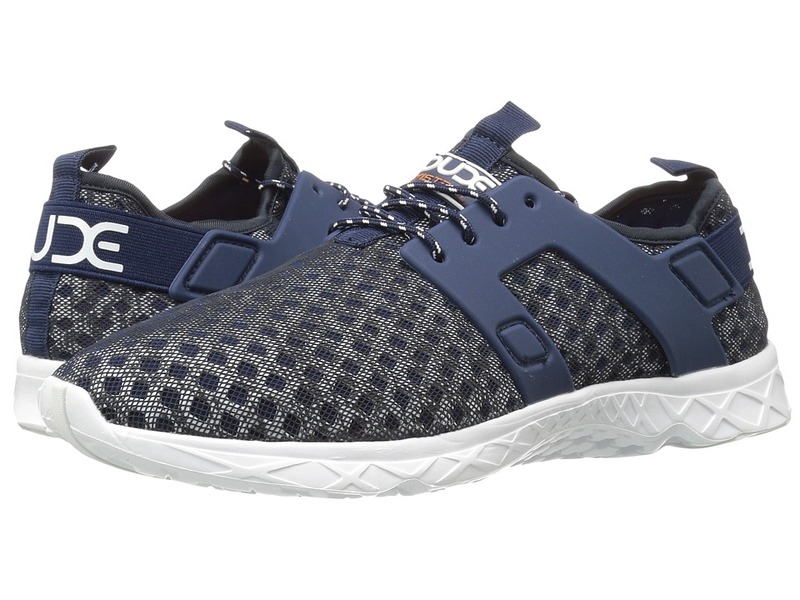 Bi-component knit upper materials offer increased flexibility and breathability. Smooth synthetic overlay detail. Lace-up construction. Classic, round toe. Rear pull-tab offers easy entry. Signature logo detailing at tongue and heel counter. Synthetic lining. Memory foam cushioned, removable insole. Ultra-light synthetic outsole. Imported. Measurements: Weight: 6 oz Product measurements were taken using size 11, width M. Please note that measurements may vary by size. Charm your onlookers when you modernize your casual look with the Hey Dude Auris sneaker. Combination wool-blend and vinyl upper material offers a flexible fit. Lace-up construction with blind eyelets. Classic, rounded toe. Front and rear pull-tabs provide easy entry. Inner elastic wrap at collar offers ankle support. Signature logo details throughout. Textile lining. Memory foam cushioned, removable insole. Ultra-light, lugged synthetic outsole. Imported. Measurements: Weight: 8 oz Product measurements were taken using size 9, width M. Please note that measurements may vary by size. Weight of footwear is based on a single item, not a pair.